FoW: Mastering the Panzer 4. Here’s where to look to find the best of the “German Shermans” – the Panzer IV! The Panzer 4 aka the ‘German Sherman’, one of the most commonly used tanks – and this is looking at how to use it in your Flames of War late war lists. So why is the Panzer 4 so useful? 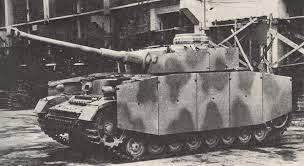 Well it’s a solid tank, with front armour 6, and an AT11 gun, it also has Schürzen to help with assaults too. At the start of Late war is a pretty handy tank, able to duel shermans and T-34’s whilst also being able to assault allied infantry – by the end of late war though it’s no longer quite the formidable opponent it used to be. Now this has just been revised, and I’m yet to get my hands on it but I think the points are likely to have dropped slightly on the Panzer 4. You have three lists which use the Panzer 4 as their primary tank, the Heer CV panzer kompanie, and the two SS lists ‘wiking’ and ‘totenkopf’. Whilst the Heer list has no special rules, the two SS lists have loads, the ‘tiger ace’ and ‘panzer kanone’ giving some tanks powerful abilities. I honestly though never find anything in these lists which really grab me when writing a list, yes there are some great options with additional armour, recon – and of course the armoured train! But whilst it’s a solid list it lacks the x-factor. You have another 3 lists here, the first is the 21st panzer – this comes with the option for one platoon to exchange a Panzer 4 for a Sherman or firefly – a nice historical touch. The heer panzer company is similar to the one in grey wolf – but lacks some of the more interesting support options, and the same goes for the SS list – and this time no option for kanone. Again the lists to me lack the x-factor but are solid when used. Now there are two lists which you get here, and they are interesting to me. The first is the Hermann Goering list, for a start you can reroll failed platoon and company morale tests – never a bad option! But the ability to mix your Panzer 4’s with Panzer 3’s. ( especially as the 3N can chuck smoke) leads to some great tactical uses. Add into that the flak 88’s having the horse artillery rule – unlimbers and shoot – you have a funky little list. But my real love in this book is the 26 panzer, and that is because it has two outstanding tools for dealing with a tanks worst nightmare – dug in infantry. The first of these is the flammpanzer – which you can combat attach to your panzer 4’s – nothing like burning a few enemy infantry stands before an assault – the other option is the semovente 105/25 – a RoF 2 breakthrough gun – 4 of them will worry infantry. First things first whilst in the books above you have the Panzer 4 H, the next lists use the Panzer 4 J – it was technically inferior to the H and suffers a penalty to hit outside the front arc – but it is cheaper points wise! This is probably the trained Panzer 4 list seen at most tournaments. The reasons being you can elect to auto attack and then make a ‘spearhead’ move right into the heart of your enemy before turn 1 – that and 17 Panzer 4’s at 1750 points (most veteran lists might hit 10 I find) again interesting but limited support options also keep the list going and being very aggressive. Now I’m unashamedly a fan of this list! 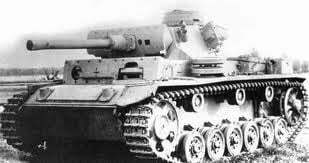 If you take a Gepanzerte Aufklärungs Platoons then your Panzer 4’s (or Panthers depending on which list you use) auto attack and again can spearhead. This is another very aggressive list – but having to take the Gepanzerte Aufklärungs Platoons really limits what other support your able to take. This is a great book to take Panzer 4’s from, they can be vets or trained, and most importantly have the ‘enjoy the war’ rule – when a platoon has to take a morale test instead each team does an individual 3+ test to see if it keeps on fighting! You can really get some great support in these lists, from heavy tank hunters to hard hitting recon or the only warrior plane in the game! Or instead you can use the points to give your tanks ‘tank riders’ to really hit hard on assault. Well that’s a brief run down if the lists you can use your Panzer 4’s in. 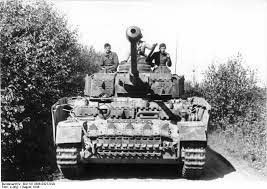 They range from the historically interesting 21st panzer to the tournament favoured lists of Peiper and Meuse. But I’d probably look at 26th panzer for a tournament now with the multiple ways to dig out infantry. If you check out our blog at Breakthrough assault you’ll find a few of this lists we’ve used Panzer 4’s in. I hope this has helped you decide what you’d like to run – if you have any others you think I missed let me know.